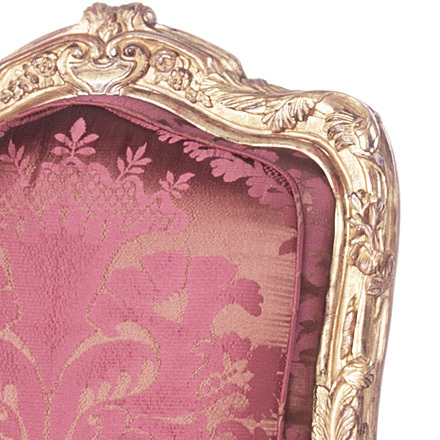 This chair is based on a set of six, 18th century side chairs signed by Nicolas Quinibert Foliot. 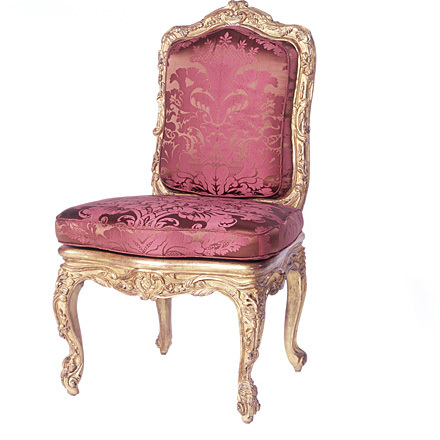 The chair features a cartouche-shaped, padded back and serpentine squab-cushion. 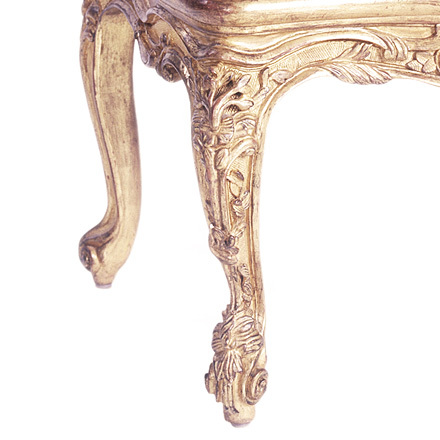 The giltwood frame is carved overall with flower heads and acanthus, with a caned seat and waved apron, on cabriole legs headed by a floral clasp and floral-scrolled feet. 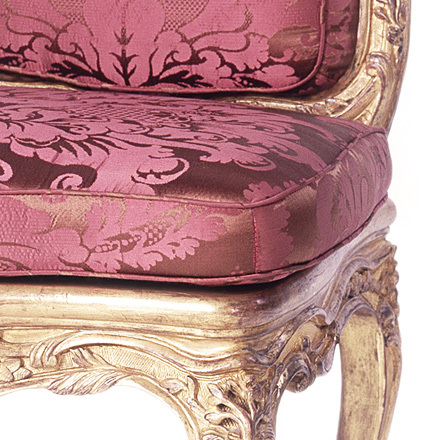 The original set of six Louis XV chairs are in the Collection of Mr. and Mrs. Gordon Getty of San Francisco. Two bergeres of this style are in the Getty Museum.